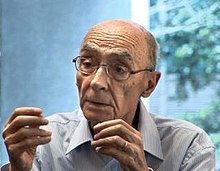 Saramago suffered from leukemia. He died on 18 June 2010, aged 87, having spent the last few years of his life in Lanzarote, Spain. His family said that he had breakfast and chatted with his wife and translator Pilar del Río on Friday morning, after which he started feeling unwell and died. The Guardian described him as "the finest Portuguese writer of his generation", while Fernanda Eberstadt of The New York Times said he was "known almost as much for his unfaltering Communism as for his fiction". Saramago's translator, Margaret Jull Costa, paid tribute to him, describing his "wonderful imagination" and calling him "the greatest contemporary Portuguese writer". 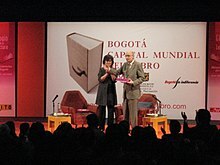 Saramago had continued his writing until his death. His most recent publication, Claraboia, was published in 2011, after his death. Saramago had suffered from pneumonia a year before his death. Having been thought to have made a full recovery, he had been scheduled to attend the Edinburgh International Book Festival in August 2010. Saramago was an atheist. The Catholic Church criticised him on numerous occasions due to the content of some of his novels, mainly The Gospel According to Jesus Christ and Cain, in which he uses satire and biblical quotations to present the figure of God in a comical way. The Portuguese government lambasted his 1991 novel O Evangelho Segundo Jesus Cristo (The Gospel according to Jesus Christ) and struck the writer's name from nominees for the European Literature Prize, saying the atheist work offended Portuguese Catholic convictions. The book portrays a Christ who, subject to human desires, lives with Mary Magdalene and tries to back out of the crucifixion. Following the Swedish Academy's decision to present Saramago with the Nobel Prize in Literature, the Vatican questioned the decision on political grounds, though gave no comment on the aesthetic or literary components of Saramago's work. Saramago responded: "The Vatican is easily scandalized, especially by people from outside. They should just focus on their prayers and leave people in peace. I respect those who believe, but I have no respect for the institution." Although many of his novels are acknowledged political satire of a subtle kind, it is in The Notebook that Saramago made his political convictions most clear. The book, written from a Marxist perspective, is a collection of his blog articles for the year September 2008 to August 2009. According to The Independent, "Saramago aims to cut through the web of 'organized lies' surrounding humanity, and to convince readers by delivering his opinions in a relentless series of unadorned, knock-down prose blows." His political engagement led to comparisons with George Orwell: "Orwell's hostility to the British Empire runs parallel to Saramago's latter-day crusade against empire in the shape of globalisation." When speaking to The Observer in 2006 he said "The painter paints, the musician makes music, the novelist writes novels. But I believe that we all have some influence, not because of the fact that one is an artist, but because we are citizens. As citizens, we all have an obligation to intervene and become involved, it's the citizen who changes things. I can't imagine myself outside any kind of social or political involvement."